On March 1st, at the Russian opposition’s ‘anti-crisis’ demonstration (transformed into a march of mourning for slain Russian opposition leader Boris Nemtsov), police arrested Aleksei Goncharenko, a deputy of Ukraine’s parliament, the Supreme Rada. It remains unclear why a Ukraine Rada deputy would be in Moscow given the strained relations between the two countries. Goncharenko, a member of the Petro Poroshenko Bloc in the Rada, was arrested for disobeying a Moscow policeman’s order during the march and released hours later. According to the liberal oppositionist, but also state-funded Ekho Moskvy radio, Goncharenko previously had been interrogated by Russia’s Investigations Committee, which considers him a suspect in connection with the 2 May 2014 terrorist pogrom in Odessa, Ukraine by Ukrainian ultra-nationalists in which more than 40 peaceful anti-Maidan demonstrators were burned alive or otherwise killed (http://echo.msk.ru/news/1503058-echo.html). Goncharenko was at the time a deputy in the Odessa region’s parliament. At about the same time Rada deputy Goncharenko was in Moscow, a different figure, one Aleksandr Gontcharuk, figured in alleged emails supposedly hacked and published on February 18th by the pro-Russian ‘CyberBerkut’ internet investigating unit of unknown origin and affiliation showing alleged plans to parlay the March 1 demonstration in Moscow into a Russian Maidan. Although it is not possible to verify the authenticity of the alleged copies of the emails, the early and mid-February emails show Gontcharuk in contact with Nikolai Lyaskin, a close associate of Alexei Navlanyi (http://vk.com/wall-71999219_1710, http://www.politonline.ru/interpretation/22880564.html, http://news-front.info/2015/02/19/perepiska-kieva-i-oppozicii-na-akcii-1-marta-dolzhen-nachatsya-gosperevorot/). In the first email, from February 5th, Gontcharuk is forwarding an email from Lyaskin to Andrey Revutskiy identified as an advisor of Ukrainian Prime Minister Arseniy Yatsenyuk, the first sentence of which reads: “According to our concept, the March 1 anticrisis demonstration should establish the beginning of regime change in the RF (Russian Federation) along the lines of the events on the Maidan.” Lyaskin allegedly requests “informational support” (propaganda) and “Maidan activists”, presumably to be sent to Moscow. In response, Revutskiy says it would be good to open “a second front” inside Russia. In a responding email Gontcharuk asks Revutskiy for assistance in “agitation” on all the major social media, from Facebook to VKontakt (http://vk.com/wall-71999219_1710, http://www.politonline.ru/interpretation/22880564.html, http://news-front.info/2015/02/19/perepiska-kieva-i-oppozicii-na-akcii-1-marta-dolzhen-nachatsya-gosperevorot/). On February 6th the Ukrainian Rada deputy and Lyaskin allegedly exchange emails in which Gontcharuk claims he can send 200-300 Maidan activists, and Lyaskin replies that the number of people is “sufficient” and each can be paid “1,000 rubles per day” while in Moscow. In an alleged February 14th email exchange, it is indicated that groups are already being sent from Kiev to Moscow. One group of 28 is said to belong to one Sergei Poleshchuk. In an exchange on February 16th, Gontcharuk laments that Poleshchuk has been drafted into the Ukrainian army, and Revutskiy promises to resolve the issue apparently so he can lead the group to Moscow (http://vk.com/wall-71999219_1710, http://www.politonline.ru/interpretation/22880564.html, http://news-front.info/2015/02/19/perepiska-kieva-i-oppozicii-na-akcii-1-marta-dolzhen-nachatsya-gosperevorot/). In relation to this weekend’s events, an alleged February 10th email from Gontcharuk to Revutskiy states that the disagreements within the Russian opposition movement are a problem, notably thar Nemtsov and Navalnyi regard Khodorkovskii as “pro-Kremlin” (kremlyovskii). Revutskiy responds: “What’s the difference? 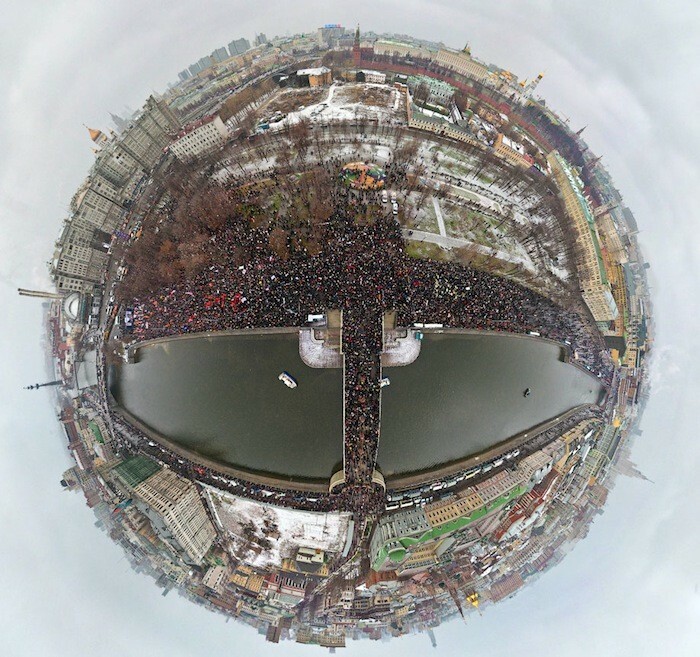 There is no other kind of opposition in Russia” (http://vk.com/wall-71999219_1710).